The next-generation 2020 Ford Explorer shed 200 pounds when its XLT trim is stacked up against the prior generation’s, but achieved this largely without relying on the aluminum for which the OEM has recently been known. 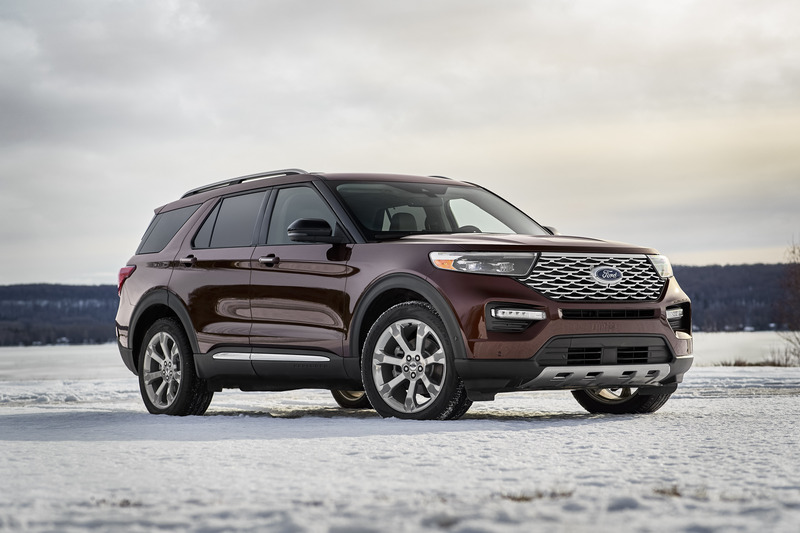 Ford Explorer vehicle engineering manager Scott Slimak said at the North American International Auto Show on Monday that the next-generation Explorer was about 25 percent high-strength steel, including some boron steel. He couldn’t provide more detail about the specific breakdown of steels, so it’s unclear if this tally was a reference to more advanced grades of high-strength steel, with lower-tier high-strength steels comprising even more of the vehicle. He said some ask if Ford just bought the weight by shifting parts to aluminum (which can be more expensive than steel). However, while some aluminum existed on the Explorer and Ford made extensive use of high-strength steel, much of the weight savings came from “good, hard engineering,” according to Slimak. 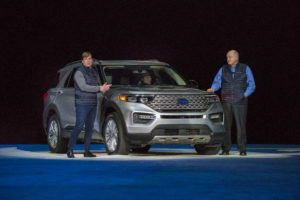 Ford eked out mass savings through techniques like optimizing bolt lengths and cutting “lightening holes” in some parts, including the battery brackets in the hybrid Explorer variant, he said. Slimak said the OEM used aluminum in the hood and front shock towers. Working on these parts will still probably require dedicated tools and space like you’d need for a predominantly aluminum F-150. The 2020 Explorer goes on sale this summer. Ford sold 227,732 last year. Another critical element for repairers to watch will be the ADAS suite Co-Pilot360 coming standard. It includes autobraking, including with pedestrian detection; lane keeping; blind spot checks; rear-cross traffic alerts; and automatic high beams. Auto parking is available as an option and standard on the Platinum Explorer trim. Rear autobraking also exists as an option, coming standard on the Platinum trim. A new adaptive cruise control option can recognize speed limit signs and adjust the speed accordingly. The Platinum trim has “door handles with satin aluminum insert, liftgate appliqué, lower bodyside cladding insert, roof-rack side rails and a unique grille with satin aluminum finish” and a two-panel moonroof. Seven wheel options are available as well as the base 18-inch aluminum rims. FordPass Connect comes standard and works if the driver has “a compatible wireless subscription service,” according to Ford. It includes the ability to “monitor key vehicle diagnostics,” Ford wrote in the news release. A hybrid variant exists. “Unlike previous hybrid vehicles, a specially designed liquid-cooled lithium-ion battery is built into the Explorer chassis below the second-row seats to preserve cargo and passenger space,” Ford wrote in another news release. 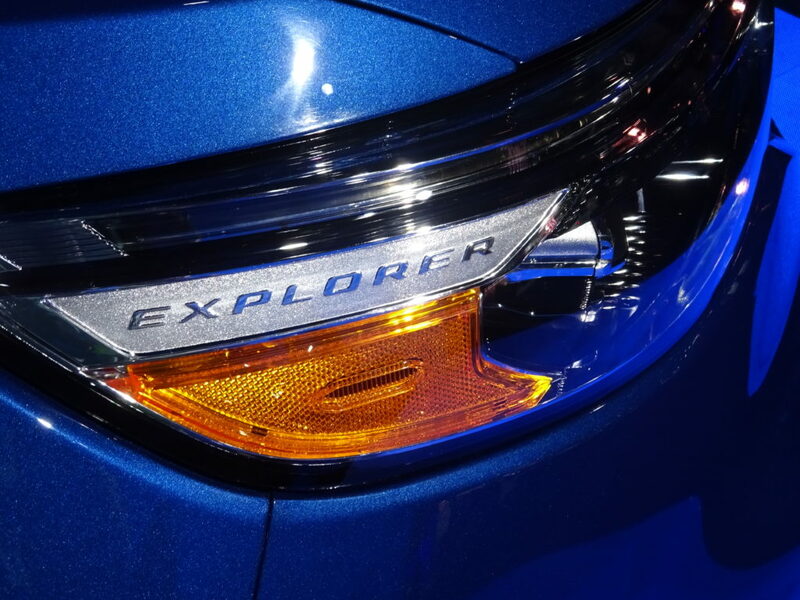 The headlights on at least the ST and Limited hybrid versions say “Explorer,” which could make aftermarket copies a harder sell for a customer.